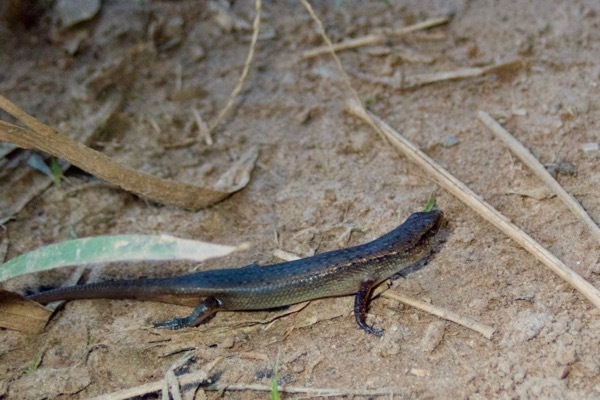 We saw a number of fairly generic small brown skinks in Ghana, most of which were apparently in the genus Trachylepis. But we also saw a few of these, which had a different feel to them, skulking about in the leaf litter or on the dirt road shortly after dark. Dr. Adam Leaché identified this as "Panaspis sp. ", and as far as I have been able to determine Panaspis togoensis is the only Panaspis species known from Ghana.